It was at the instance or Dona Luisa Coomarswamy that Dr. A. C. Corcoran and Mrs. Betrlce A. Page of Cleveland, Ohio. 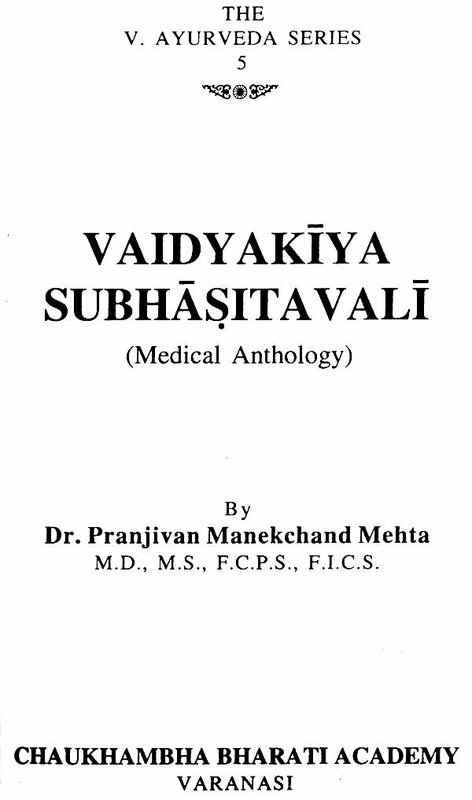 U. S. A. who were going to publish an anthology of medical literature, eagerly wrote a letter to Dr. Vasant P. Mehta of Bombay, to help them in making their book as complete and representative as possible by including various literatures of the world, especially that of India. 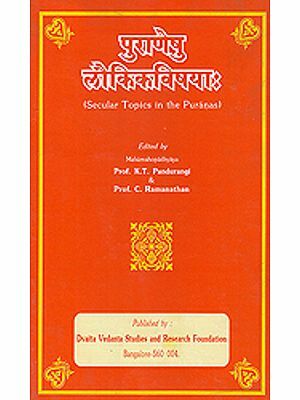 Dr. Vasant naturally conveyed that information to me, and I, prompted by the earnest desire to represent India, responded favourably though hurriedly, to their invitation to contribute some medical excerpts from various works in Sanskrit, the treasure houses of the various. literary gems. Consequently I took up the work in hand and tried to select as many good medic-literary passages as I could find during the short span of time at my disposal. As the matter was to be published in America, the Sanskrit texts were translated into English and thus about' 75 pa- ges of typed matter were sent to Mrs. Page and Dr. Corcoran. When the manuscript reached them, they were so much delighted with the contents that they cabled their delighted pronounced their joy and satisfaction in the letter that followed. In that letter of the 3rd December, 1950 Mrs. Page writes interalia, 'we cannot begin to thank you enough (or this. marvellous material-also beautifully translated. organized and classified that you sent us. We feel that the excerpts we can use in the anthology will enrich it enormously. But the space limitation made them unable to use all the material that was sent. 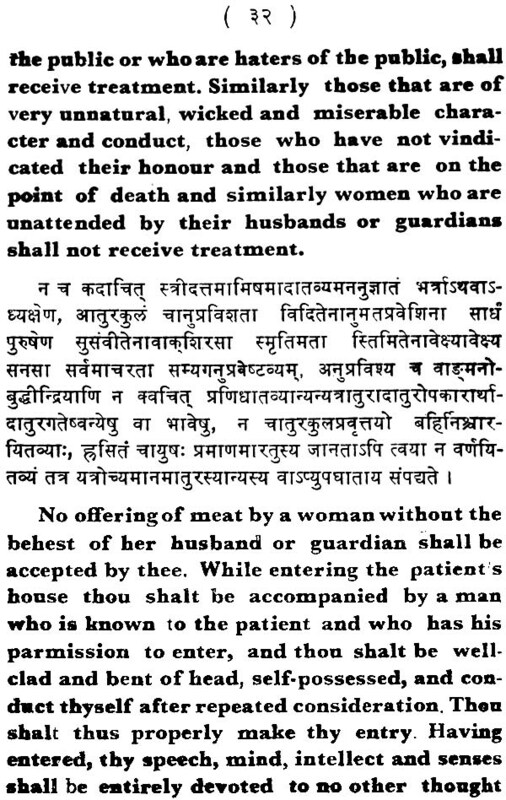 So for the rest they decided to put it as a paper, before the American Association for the History of Medicine, which would in due course be published in the Bulletin of the History of Medicine. Again, one thought flashed in their minds and they seized it, deciding as the result, to find out some-publisher who' might be interested in printing the whole manuscript as a small book. But their efforts in this direction failed as n. publisher came forward as they .state in their letter of the 3rd December, 1950. 'Most publishers feel that such a specialized book would not have sufficient sale to warrant their taking the financial risk'. At the same time there was a great difficulty in printing Sanskrit manuscript there in America and so to their great sorrow they had to abandon the thought and had to return 'the fascinating manuscript'. (as they put It ) unprinted and unpublished. The impressions and the high opinion of these meet and dispassionate lover of learning - The acholars of science – these worthy Americans, harboured in my mind since then and awaited a welcome opportunity. As I was pre-occupied with many other activities, I found very little time to give my attention to this manuscript and thus months after months rolled on extending over three valuable years. At last the propitious moment came and I wrote to M/s. 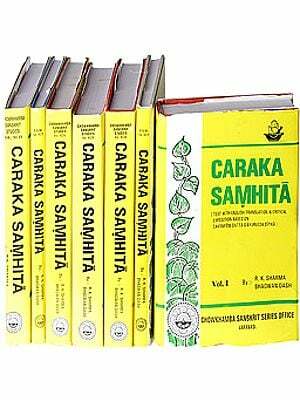 the Chowkhamba Sanskrit Series Office, Banaras, and two other editors of Ayurvedic magazines, to undertake the' publication of this 'Medical Anthology'. They all the three, readily accepted my request and thus today Shri Jay- krishnadas Gupta the proprietor of the Chowkhamba Sanskrit Series Office and the Chowkhamba Vidya Bhawan, to whom I owe a great many thanks for this undertaking, puts this anthology before the general public who I am sure will be interested in this little publication-the medicine in literature and literature in medicine. The interest and approbation from the learned scholars and wise Vaidyas will be a matter of great content and encouragement in my further effort in this direction. If this humble effort of mine serves an impetus to some scholar in this field of work, I .hall consider my effort amply compensated, For any publication, small or large, I am ever, indebted to Her Highness Maharani Shree Gulab kunverba Saheba of Nawanagar, who has Inspired and. 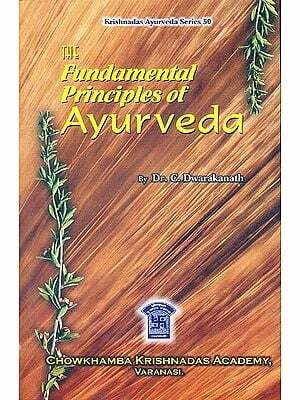 directed me to learn Ayurveda and has given me all the 'facilities in my work in this field. I am also grateful to all my colleagues in Shree Gulab kunverba Ayurveda Society, Jamnagar, 'who have wholeheartedly helped me in all my Ayurvedic activities.